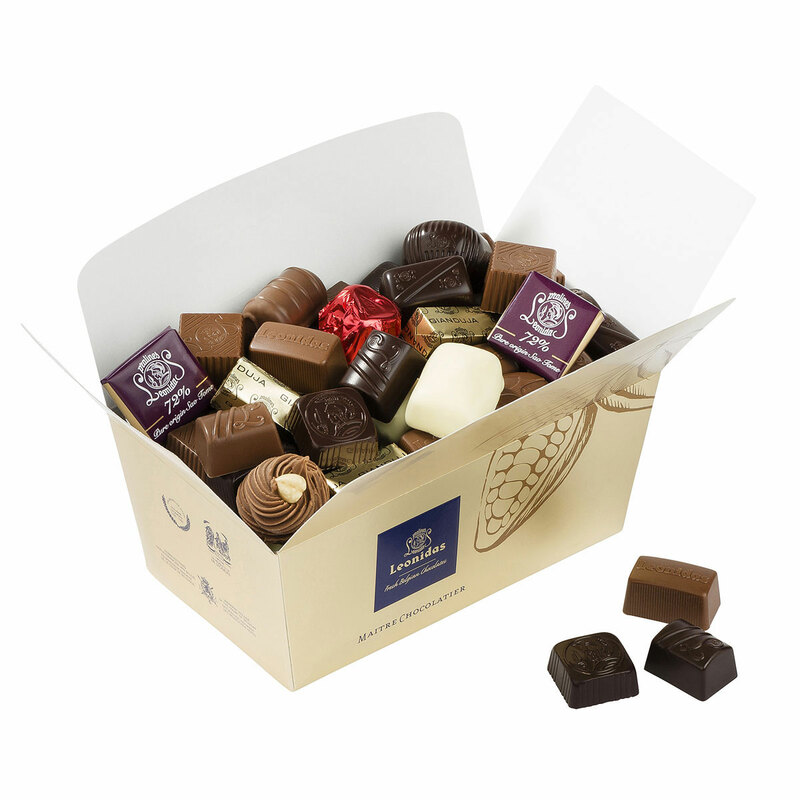 Enjoy a festive selection of classic dark, white, and milk chocolates with ganache, praliné and caramel fillings. 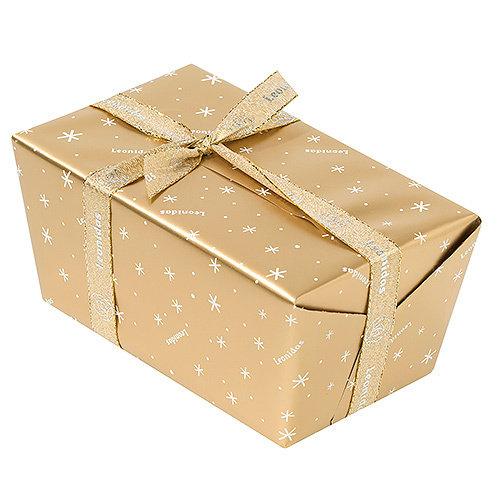 The Christmas Leonidas ballotin is stylishly wrapped in gold-colored wrapping paper and tied with gold-colored ribbon. It is ready for gifting and looks beautiful under the Christmas tree.